In recent years, a growing number of people have resorted to a concealed carry method called appendix carry. The practice, of course, is not new, but the nomenclature for it is merely the modern term. What is appendix carry? Appendix carry is where you place a pistol and holster in the front of the waistband. The typical placement is often about halfway between the pants pocket and the waistband button, close to the location of the appendix - hence the name. The benefits of appendix carry are easy concealment, more convenient insertion into the waistband and an easier draw from concealment. However, there are some potential drawbacks that you should know about as well. This guide will go over the basics of appendix carry, how it's done, what you need in order to appendix carry effectively, and how to counter the potential drawbacks of appendix carry. Appendix carry is merely a new term for an old practice, namely carrying a pistol in the front of the waistband instead of near or on the hip or the small of the back. In the 19th century, small revolvers (the concealed carry guns of the day) were often referred to as "belly guns" as they would be commonly tucked into the waistband or perhaps carried in a vest pocket. The purpose, of course, was to keep a small pistol in a location where it would be easily concealed from view but also easily accessed should the person carrying the gun need it. However, it should also be noted that the political landscape of the late 19th century was far different from that of today; concealed carry was not widely legal and in fact was illegal in most jurisdictions. That said, the modern practice called "appendix carry" differs from that of "toting a belly gun." Today, appendix carry is done with a holster instead of merely inserting a pistol into the waistband. Holsterless carry is dangerous, and should not be done unless it's due to a temporary emergency. The typical person appendix carrying is also a law-abiding and licensed concealed carrier, rather than someone looking to skirt the law of the land. As discussed, the practice is named for the position of the gun and holster. 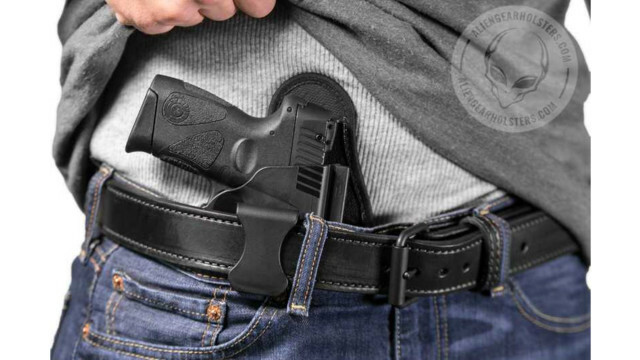 Usually, an appendix carry holster is located about halfway between the pants pocket on the strong side and the fly (about the 1 o'clock position) which is close to the appendix - much like how people who carry with an IWB holster around the 5 o'clock position is sometimes called "kidney carry." Granted, a gun in this position is also near the liver, the stomach, the bottom of the lungs , and both of the intestines, so appendix carry isn't perhaps the best or most accurate term...but then again, "colon carry" makes implications that just aren't very pleasant! Why Benefits Does Appendix Carry Offer? The primary benefits to appendix carry are convenience and ease of access. This would seem to be tautological, but it's not quite the same thing. 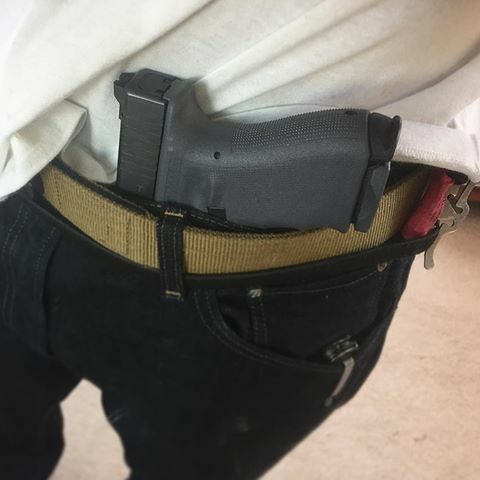 Carrying this way is convenient because it's ridiculously easy to slide an appendix carry holster and possibly pistol (some people wait to holster the pistol until the holster is seated in the waistband - more on this in a second) in the waistband. You just slide it in, seat the clip, fasten the belt and go. The traditional winged IWB holster, however, takes a bit more in terms of placement, requiring back-and-forth adjustment until the holster is seated. This process is made even more difficult if a pistol has been inserted in the holster before inserting onto the waistline. With appendix carry, you can just slide the holster in the waistband, fasten the belt, insert the gun and go - maybe you'll need to adjust a bit, but that's it. Concealment is also much easier, as the natural drape of even a t-shirt easily covers the gun. Provided a bit of adjustment, printing is kept to a minimum. You also don't have to worry about blowing concealment every time you bend over...though you might when raising your arms above your head. 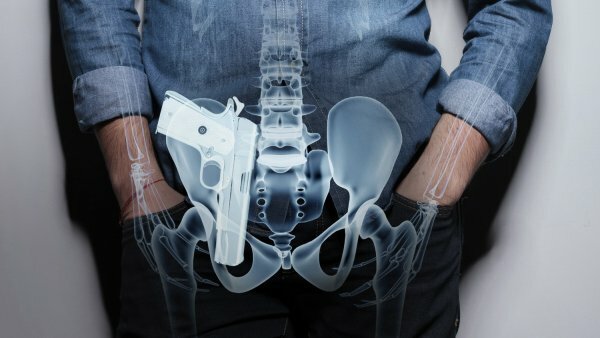 As to ease of access, a pistol on the front of the waistband is far easier to access than a gun located behind the hip. Clearing the cover garment is also easier when carrying in this position. Drawing from the appendix position also offers a tactical advantage. When one draws from the hip or behind the hip, there's a tell-tale rearward motion of the elbow as the arm moves backward to get the hand into position. With appendix carry, there's no need - which doesn't telegraph the move. What Are The Best Guns For Appendix Concealed Carry? The guns best suited to appendix concealed carry are essentially the same sort that are well-suited to concealed carry in any position. This isn't hard-and-fast by any means; your mileage may vary. However, compact and subcompact striker-fired pistols are generally preferred for some distinct reasons. Carrying in this position puts the rear of the gun into the stomach. Unless you have a perfectly flat midsection, pointed backstraps and hammers can easily jab into you. The slab rear of the slide of plastic fantastics will be a bit more comfortable. As to revolvers, hammerless or those models with shrouded hammers will be a bit more comfortable for this same reason. Also, concealing a full-size pistol - even in the appendix position - usually creates the tell-tale bulges and imprints anywhere on the body. Since your front is that much more visible, any obvious printing, bulging and otherwise from the gun will be instantly visible. Thus, smaller guns will usually be easier to conceal in this fashion, though this applies anywhere. However, hammer-fired pistols are a little less suited to appendix carry, as are service guns. The most glaring of the drawbacks, quirks, peccadilloes and otherwise of CCW appendix carry is the comfort issue when seated. You see, carrying in this manner is quite comfortable when you're standing up and walking around. No issues whatsoever. You might even find yourself wondering "why bother with regular IWB carry at all?" However, you'll find out why the second you try to sit down or bend over in the slightest, because that's when things take a turn. As you hinge at the waist, the holster presses down and gets pushed right into your stomach as does the rear of the slide. If you carry anything larger than a snubby revolver or mouse gun, the holster and the muzzle can jab you in the upper thigh. Many people who try it also observe that sitting while appendix carrying is all but untenable unless you practically lay on the flat of your back in your chair. Good posture is right out; your choices of work furniture are now a standing desk or a chaise lounge. This isn't to say appendix carry can't be comfortable or practical; it can. It's just that it works better for some people than others. People with more or less the flattest of stomachs are better suited to appendix carry. Also, if your pants hang on your hips rather than your waist, as is the case for some people, it isn't going to work well. Your mileage will vary, of course, so by all means try it out for yourself and see if it's for you. However, a lot of people have surmised over the years that unless you look malnourished and your trousers get buttoned over your sternum, appendix carry isn't going to be the most practical. There is also a purported safety issue with appendix carry. Since the barrel of the carry gun rests over the leg - or if anchored closer to the fly, something even more sensitive - meaning that if an accidental discharge were to occur, you're getting hit. The potential danger is lethal; the upper thigh is where we keep our femoral arteries and it does not tolerate injury well. Said risks, though, have been drastically overstated. So long as a person has a quality holster that keeps the trigger guard secured - and the carrier practices good gun safety - the risks are practically nil. Though it goes without saying that guns can be dangerous if handled or carried in an unsafe manner in any position, the perceived risk has given appendix carry a bad name that it doesn't really deserve. It also goes without saying that carrying a pistol in almost any manner is completely safe if done cautiously and correctly. Some people prefer to carry a hammer-fired double-action pistol in the appendix position. While there is the chance of the hammer poking you, why people prefer this is actually for safety purposes. The hammer can be indexed by the thumb, holding it down as the pistol is inserted into the holster. This gives you total physical control of the pistol in case of anything starting to happen. However, let's assume that you've moved beyond the stage of wondering "should I appendix carry" and are GOING to appendix carry or at least give it the old college try. Where does one start? First order of business is choosing an appendix carry holster. As with any concealed carry holster, you make or break your carry rig with the holster; one that works well for you will enable you to carry and one that doesn't will wind up in the holster drawer or the circular file. What to look for in an appendix holster? The same things as any other holster. First, the trigger guard must be completely covered. This is even more important if carrying a striker-fired poly-frame pistol, as more than one unintentional discharge has occurred due to something - be it a shirt or something else - getting into the trigger guard and snagging the trigger. Second, the holster must offer good retention. After all, what's the point if the holster can't keep the gun inside it? Part of this comes down to fit; a holster must be made to fit the pistol you will carry and should come from the factory with the ability to retain your firearm. Adjustable passive retention is also a good feature to look for, as it lets you dial in the retention to your preferred setting. Comfort is also of vital importance, especially given the discomfiting potential of appendix carry. Bear in mind that this aspect is subjective; some people find plastic pancake AIWB holsters perfectly comfortable. Others won't carry in this position without a hybrid holster. The latter, though, will be more comfortable for more people as a soft but supportive backer will definitely feel better once the belt is fastened and the holster is pressed against you. 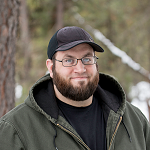 If considering a hybrid appendix IWB holster, pay attention to the backer. Leather can certainly be soft enough to be comfortable, but might also create hot spots - especially if worn in hot climates. Leather can also get a bit...ripe, we'll say...if it starts to absorb a lot of sweat. A sweat-wicking backer may be somewhat better suited to appendix carry in this regard. As to belt clips, some appendix carry holsters come with one or two standard belt clips or a single wide clip; it depends on who makes it. Look for adjustable cant; you might find appendix carry to be tenable if the holster rides in a specific spot with the holster canted or perhaps straight. You'll have to experiment to find if the holster you buy works for you. Naturally this goes for any holster of any design. A good thing to look for is a holster maker that offers something like a trial period (imagine that fake coughing noise that people make sometimes) so you can return it if you find it isn't for you. However, all isn't lost if you find a holster that's comfortable but you don't like appendix carry. You now have a minimalist IWB holster, which is actually something a lot of people appreciate. Believe it or not, some folks aren't too crazy about the winged IWB holster design; a common complaint is it takes up too much real estate in the belt line. Will Appendix Carry Work For Me? Is appendix carry going to work for you? You're going to have to find that out for yourself. The truth is that a lot of what we've gone over in this guide are generalities; these are things that are generally true, but your experience may be a bit different. You might find appendix carry is the greatest thing ever, without an iota of discomfort. If so, awesome! If not, bad luck old sport. It isn't for everyone. Your mileage, as they say, will vary, and that's okay. Not everything is for everyone and there is nothing wrong at all with carrying on the strong side. You can be fast, accurate and effective carrying on the hip or just behind it. Appendix carry does not instantly turn you into some sort of tactical master; it just puts the gun in a different place. If it works out, then you've discovered a carry style that thousands of people are flocking to for the ease and convenience that traditional IWB carry just doesn't offer. If not, you've learned a bit more about what works better for you when it comes to concealed carry, which has an inherent value in and of itself. After all, the point of trying new things is to find out what works and if you're going to carry, you should do it in a way that works well for you. I like appendix carry but can't find a holster with the right angle. I am right handed and want my grip to be at 1130 with barrel at a 45% to to left. I might have to find a local maker to do a custom setup. I don't AIWB, but one thing that I've noticed trying out the ShapeShift AIWB is that it is missing a wing. I think that is one thing AG can improve on that product as competitive products are coming standard or a cheap addition. Just my thoughts. HOW ABOUT THOSE OF US WHO CAN'T CARRY ISW HOLSTERS BECAUSE OF OUR SIZE. IT'S HARD FOR A BIG MAN TO CARRY CONCEALED BECAUSE OF OUR SIZE. I HAVE BOUGHT A LOT OF DIFFERENT OWB HOLSTERS TRYING TO FIND ONE THAT IS COMFORTABLE AND CONCEALABLE. THE BEST I CAN FIND WAS A GALCO BLACK WIDOW THAT I CARRY OWB ON THE BACK SIDE OF MY RIGHT HIP. STILL WHEN SITTING IN MY CAR A LITTLE UNCOMFORTABLE. ANY IDEAS?